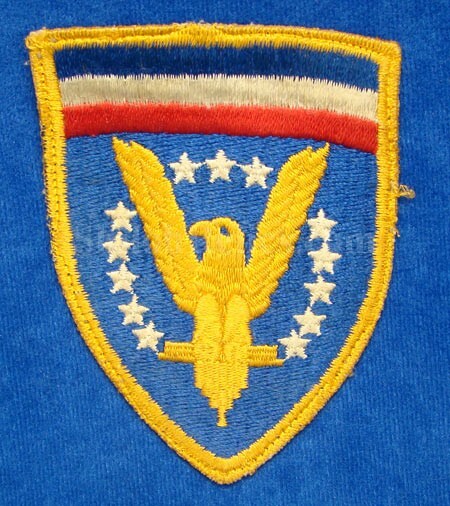 This is the circular shoulder patch that was designed to be worn to represent the headquarters of the European Theater of Operations.The patch book states that they used this patch from March 21 1945. 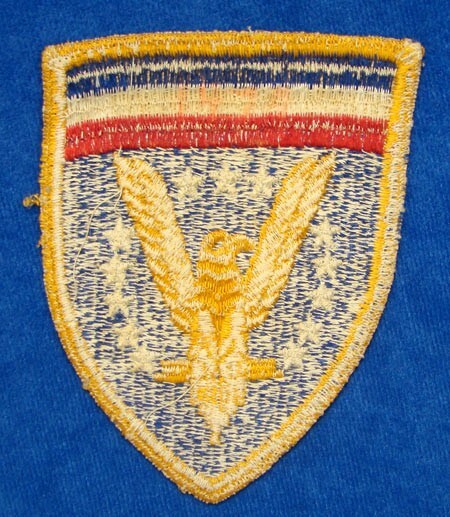 He says that these were designed to show the American Eagle with the wings raised in a "V" for victory. The stars represent the liberation of the people of Europe from Nazi control. This one would date from the ww2 era because of the material it is made from and the construction. This one as you can see was worn but displays well. it is a "no glow" under the black lite test. which means the material is correct for the WW2 and WW2 occupation forces era (1940-1950). It measures 3 7/8 inches by 3 inches in overall size.